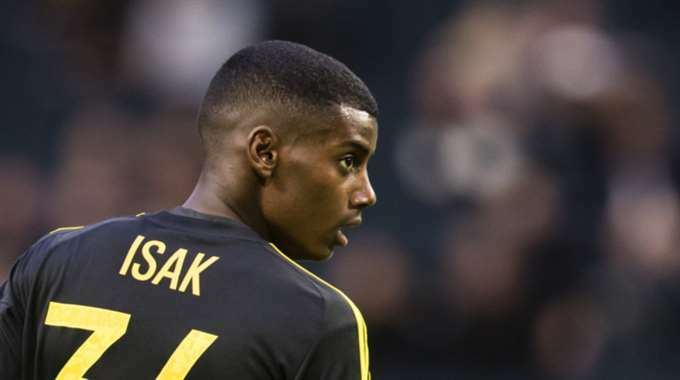 Real Madrid will pay 95 million coronas (10 million euros) for young AIK striker Alexander Isak, which will be the most expensive transfer in the history of Swedish football, according to “Aftonbladet”. The sale of Isak, 17, will be more than the fee Ajax paid Malmo for Zlatan Ibrahimovic, which was 82 million coronas (7.8 million euros). “Aftonbladet” say the teenager will sign a five-year deal and his agent will travel to Madrid next week to close the deal, although the second part is what’s been added by the press in Spain. Both “Aftonbladet” and “Expressen”, Sweden’s two biggest tabloids, are reporting the news and say that Isak’s case could become similar to Martin Odegaard’s. The Norway international joined the club two years ago, but has not yet progressed to the first team and is not in loan at Dutch side Herenveen. Isak, born in Sweden but of Eritrean origin, made his debut for AIK’s first team months ago and scored 10 goals in 24 league games last season. He became the youngest scored in the history of the Swedish national team, too, scoring in a 6-0 win against Slovenia days after making his debut against Ivory Coast.